Made from high-grade steel. The jaws are forged and accurately machined. 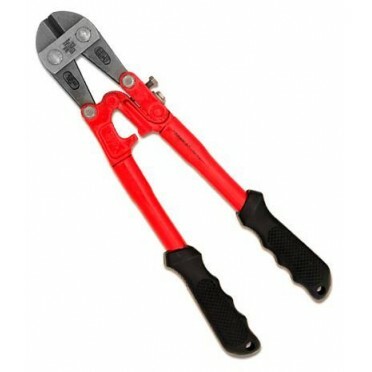 An adjustment screw is provided on the side of the bolt cutters which enables firm and comfort grip. Designed for click and easy cutting of wires, round steel bars, hard drawn steel bolts and standard wires etc. Features & Specifications :Chrome PlatedRod Diameter : 10mmRod Length : 190mm along with steps o..